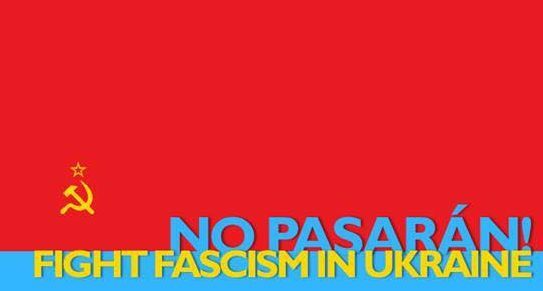 The YCL Executive Committee has called a national day of action this Saturday 10 February 2018 in solidarity with our comrades in the Communist Party and Komsomol of Ukraine against state oppression and the rehabilitation of fascism. SInce coming to power during the Euromaidan protests at the beginning of 2014 the EU-US-NATO backed fascist junta in Ukraine has vicously oppressed and murdered communists, trade unionists and democrats throughout Ukraine. With the full backing of the British and other NATO powers the Kiev government has attacked antifascists in Donetsk and Luhansk using neo-nazi paramilitaries, often targeting civilians. Soon after the fascist junta came to power, dozens of trade unionists, including pregnant women, were locked in Odessa Trade Union House and burnt alive. The EU backed government immediately introduced new laws to criminalise communism, glorify WWII fascist collaborators and legitimise the neo-nazis organisations propping up the new government. The Ukrainian Communist Party faces a judgment from the Kiev Administrative Court ordering its dissolution and banning. The Party has been prohibited from standing in elections since 2014, even before this communists faced violence, intimidation and vote rigging. In the 2012 pre-coup elections the CP secured over 13% of the popular vote. The antidemocratic measures adopted by the Kiev government have silenced the vote of almost 3 million Ukrainians. As recently as Christmas 2017 our sister youth wing the Komsomol of Ukraine were attacked by the neo-nazi members of the ‘National Corps’. The British government and EU have done nothing to restrain their puppet government in Ukraine. They have encouraged attacks on communists and the use of fascist militias to oppress the peoples of Ukraine. – Call on Britain to cut all diplomatic ties with the junta. The YCL calls on all socialists, antifascists and democrats to join us in this national day of action! Future generations will not forgive us if we allow fascism to rear its head in Europe!